The BoBunny Blog: Beautiful Dreamer Curiosity Layout! Greetings and welcome to the blog today! 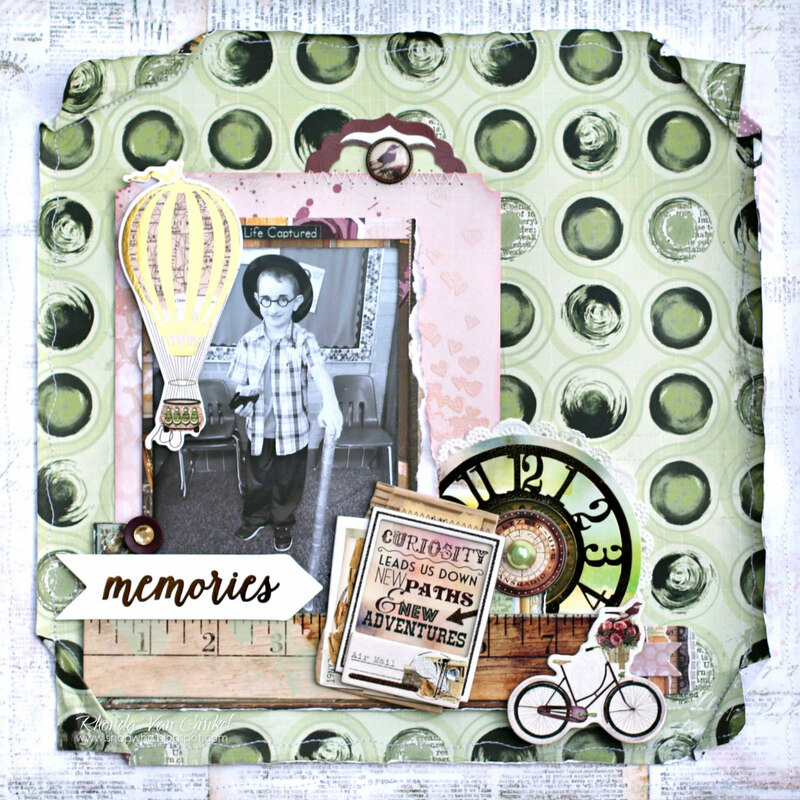 It's Rhonda here to share with you a scrapbook page which I created with the Beautiful Dreamer collection and accented with stamps from our new "I Heart Stars" Stamp Set. For my page, I am using a recent photo of our youngest dressing up as a 100 year old "rich man" for his 100 day of school celebration. I converted the photo to black and white to blend in with the collection and design. I stamped the heart clusters onto my light pink paper and then heat embossed with some white pearl superfine embossing powder just to give a sheen and gentle texture to the paper layer. I loved that the background papers here are green and with the circle clusters, resemble rolled up wads of money. 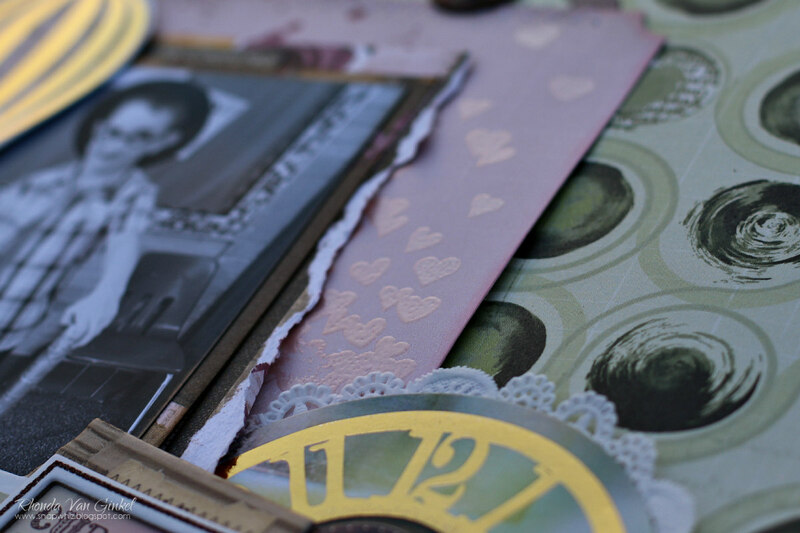 Here you can see the texture and design that just a touch of stamping can add to your project! The I Heart Stars collection has a great mix of both stars and hearts, perfect for any type of project. 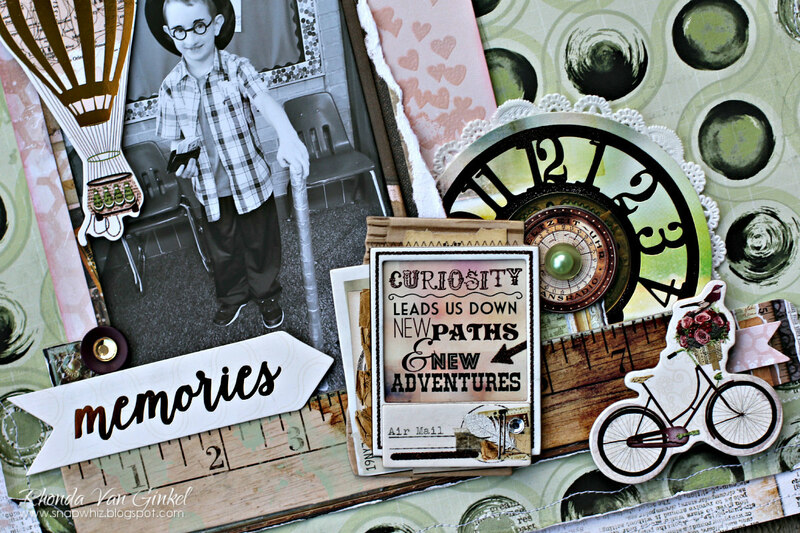 Thanks so much for stopping on over for a visit to the blog today! The new house looks fabulous, I hope you are happy there. I love the doily behind the clock face!